Termite Treatments, are part of a termite management program that help in the process of eliminating termites from properties, however dusting active termites with Termidor requires the expertise of a licensed Termite Management Technician with sound knowledge of termite treatments and the eradication of the termite colony. Note: Sole stand alone dusting treatments do not provide long term protection, they are designed to help in the elimination of a termite colony (nest) as part of a termite management program, however our 18 years experience in this industry leads us to believe Termidor is your best defence when termites enter the property. 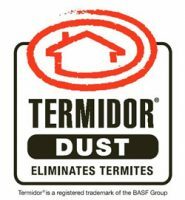 Long Term Protection, as much as we have full confidants using Termidor dust or foaming when treating live termites, we know that long term termite management requires the installation of a termite treated zone to ensure the property is managed to avoid any form of termite ingress. 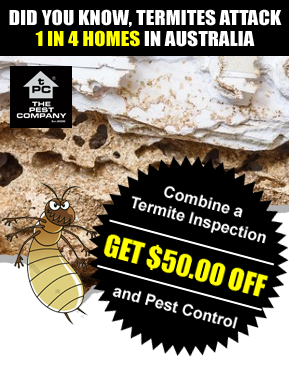 Not sure where to start, then call us to book in a Visual Termite Inspection and receive a free Termite Management proposal.